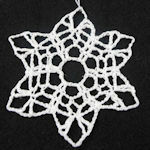 Trebles & Chains Ball Ornament -- $1.99 A Crochet pattern from Julie A Bolduc. 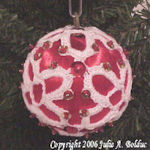 This ball ornament is fast and easy to make and would look great done in several different color combinations. 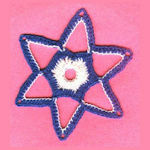 The top and bottom part are done separately then put together over the ball. The bottom chains are longer than the top chains on the last round.